Morecambe fans have their first chance to potentially see both of their deadline day signings when the Shrimps host Bury tomorrow. Piero Mingoia and Sam Dalby both joined Morecambe on January 31 on loan from Accrington Stanley and Leeds United respectively. 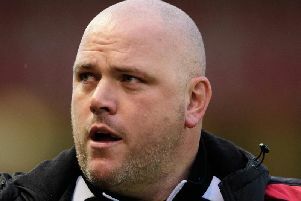 Both are at the Globe Arena until the end of the season and took Jim Bentley’s number of signings to five for January. Paul McKay, Richie Bennett and Ritchie Sutton also came in with Josef Yarney, Garry Thompson, Florent Cuvelier, Joe Piggott and Jason Oswell all departing. Here, Bentley gives his thoughts on the Shrimps’ transfer business last month.